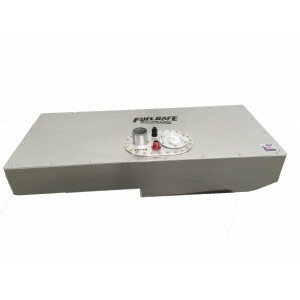 Fuel Safe's UTV-XP1000 Pro Cell Complete Fuel Cell. 20 Gal. 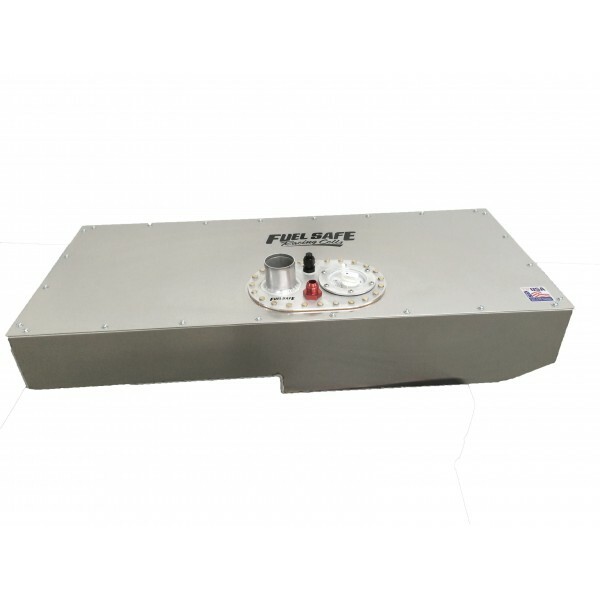 includes a FIA-FT3 Certified Pro Cell Bladder, .063 Aluminum Container (Raw), FAB100 Collector with (3) CV100 Check valves (bonded in), Yellow Safety Foam Baffling, ML6X10 Fill Plate with FV290B Remote Fill Valve, -8 Outlet, -8 Return and ITVV12 Vent. Fits RZR XP1000 2 seater and 4 seater. On the 4 seater it is installed under the rear seats. Please allow 5 to 7 days for fabrication.